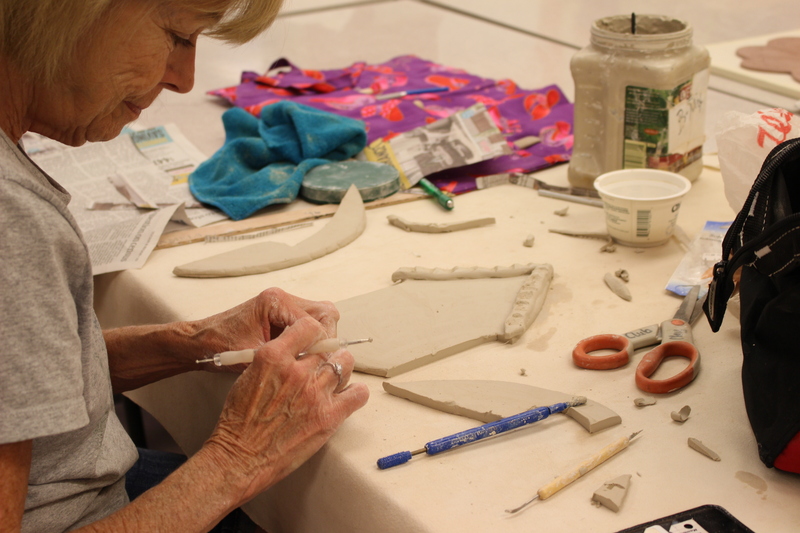 The focus of the Clay Club is to promote fun, interest and knowledge in all aspects of using clay from hand building and throwing on the wheel to glazing and surface decoration. 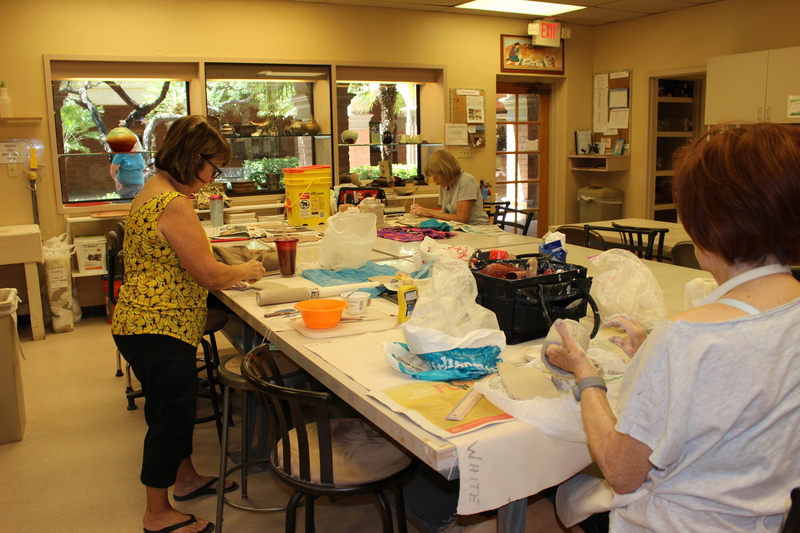 We strive to be a welcoming community of helpful people sharing our love of clay with others, growing skills and learning from each other, building friendships and simply enjoying the process. 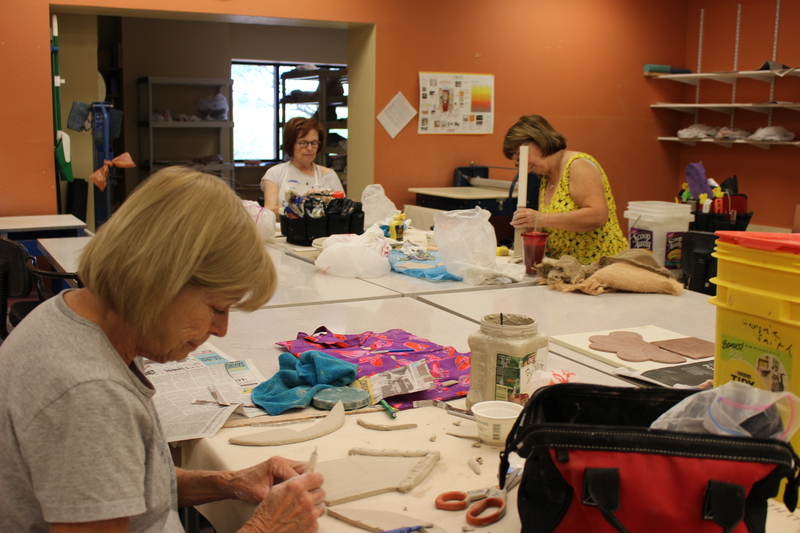 We stress artistic freedom and encourage participation in the work needed to keep a lively studio functioning. 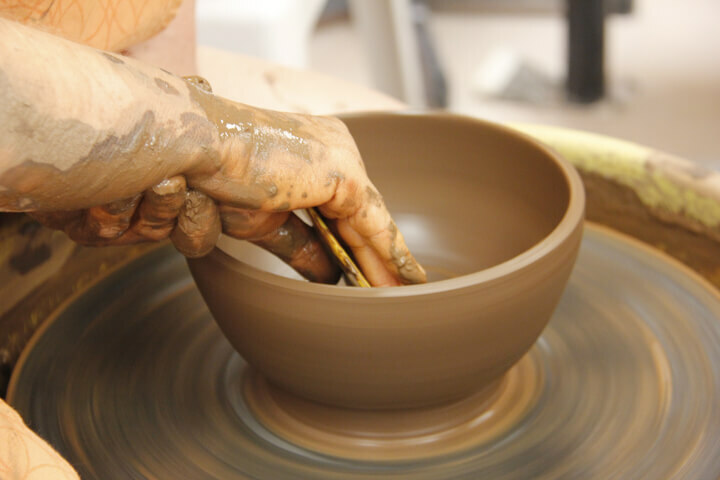 Raw clay is such a flexible medium with countless ways to illustrate individuality…and it is a wonderful throwback to the days of mud pies and free play. 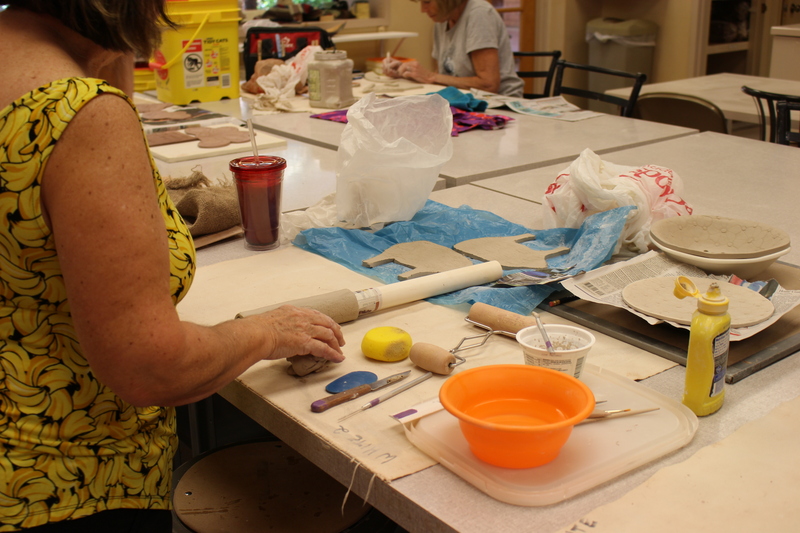 Join others as they try their hand at making that special bowl or plate. There is nothing like the feel of squishy mud and the beauty of the creations emerging from the fires. 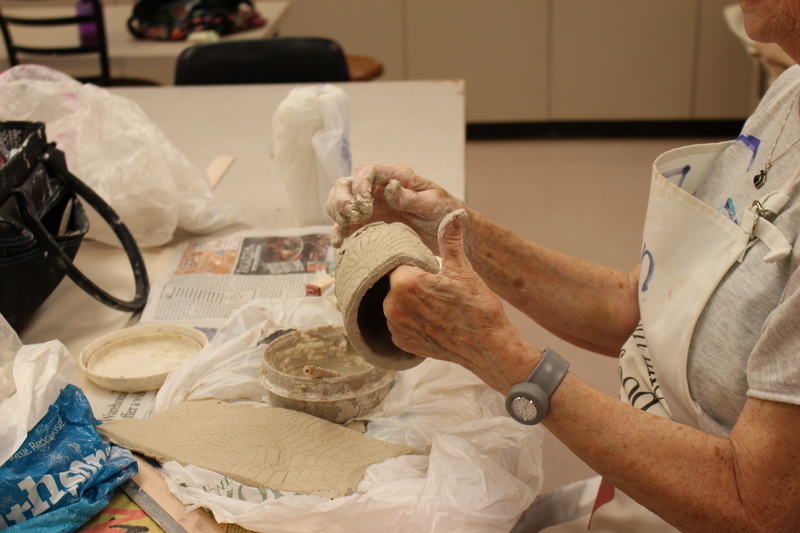 More experience potters are there to teach skills and encourage new members as they discover how to make their own beauties or how to translate ideas into finished product. To use the clay room contact the club leadership listed in the Tipster.